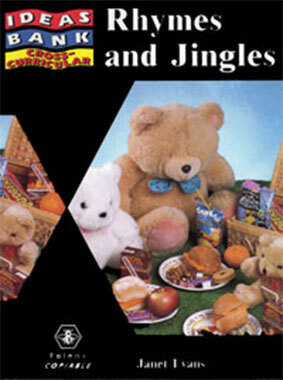 This is a book of traditional and non-traditional rhymes and jingles for children aged three to seven. Each rhyme and jingle is linked to ideas for making visual aids and simple games. The ideas promote the use of oral language and have other cross-curricular links; they also provide starting points for activities, as well as ideas for extension and development. There are photocopiable pages to make games and activities for children to play, supported by facing pages packed with background information, extra ideas and teaching strategies. £17.00 + £3.00 post & packing.